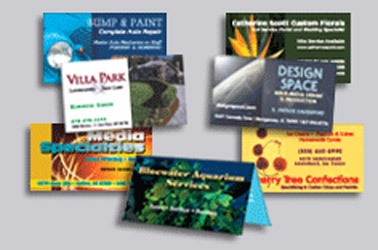 1,000 Full-Color Business Cards printed 1-Side on White 14pt Gloss Cover Stock with UV Coating. 2-Sided Printing $10 Additional. Price is based on your Print-Ready Artwork Supplied. Graphic Design available if needed for an additional cost. Make your first impression really count!